Are you ready for the next dance festival? Explore the world of arts and fun with our LED Necklace with Purple Metallic Beads for Mardi Gras. During the early dance music adventures, we witnessed unique changes of fashion trends. But this combo never gets old. Whenever party season comes to a close, our LED Necklace with Purple Metallic Beads for Mardi Gras will still be going strong! This necklace is made up of metallic purple beads with 6, evenly spaced, that light up. Comes with a breakaway clasp for safety and fast removal. Come ready to use with 3 AG13 Batteries. 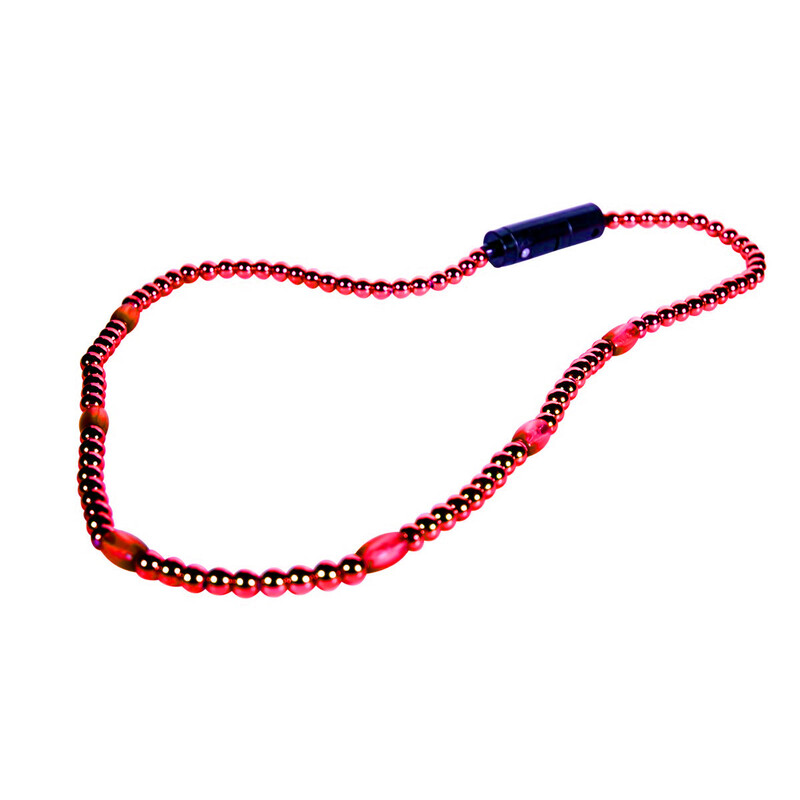 To activate your LED metallic bead necklaces, remove the battery protector and press the button for 1 of 3 light modes: Flash, Blink and Steady.